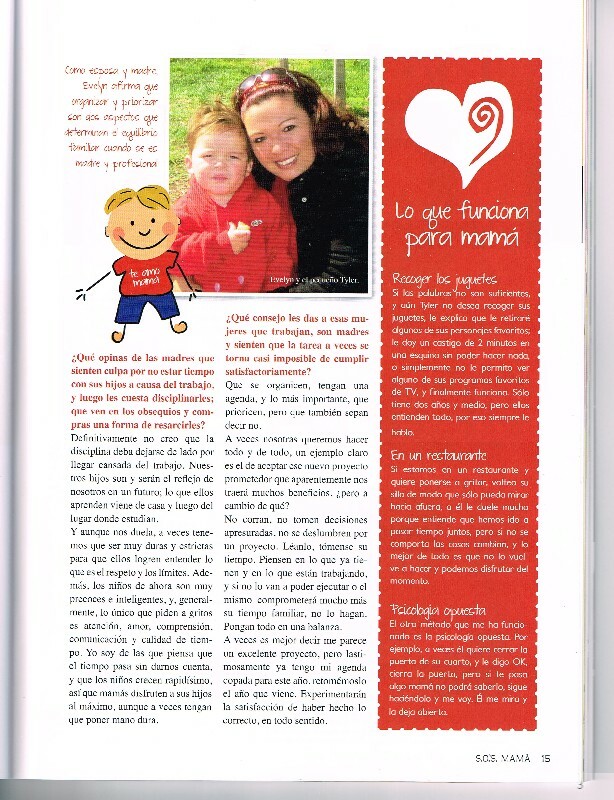 Home / Latest News / My First International Feature! 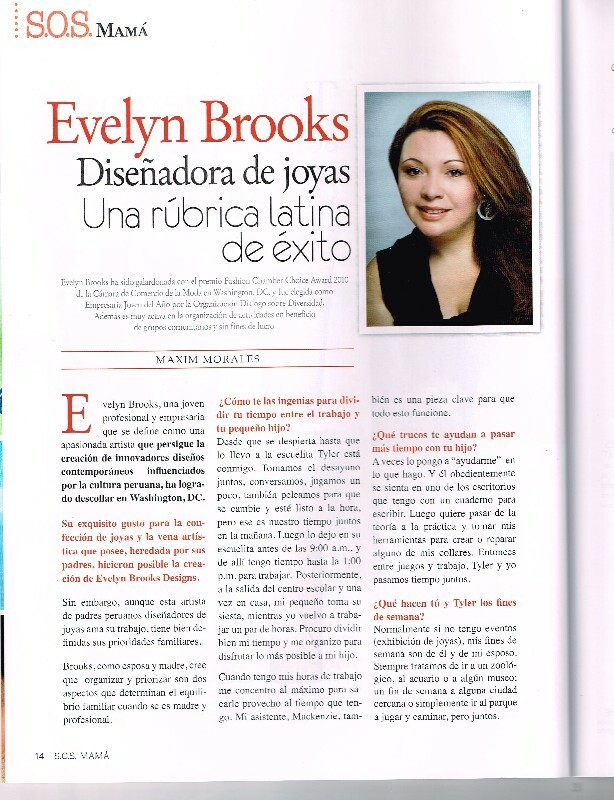 I’m very excited to share with you that I have, for the very first time, hit international headlines! 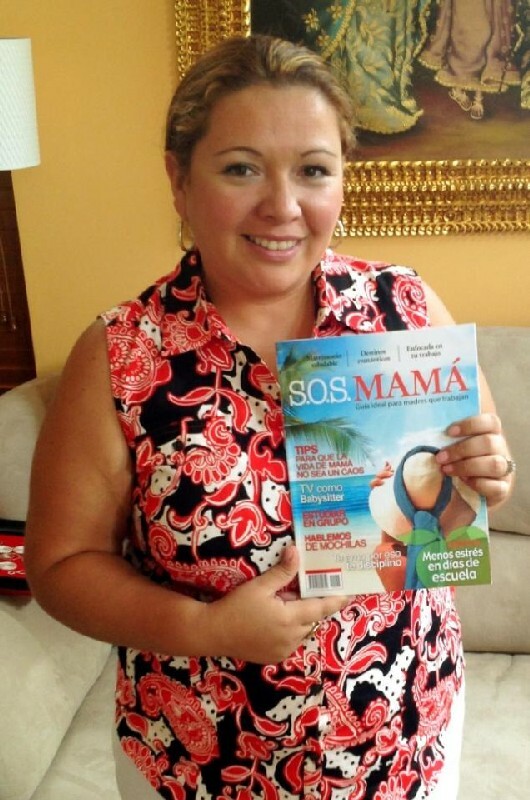 I was featured in a magazine from Panama called S.O.S Mama–Guia ideal para madres que trabajan. Basically, it’s a magazine targeted to working mothers. 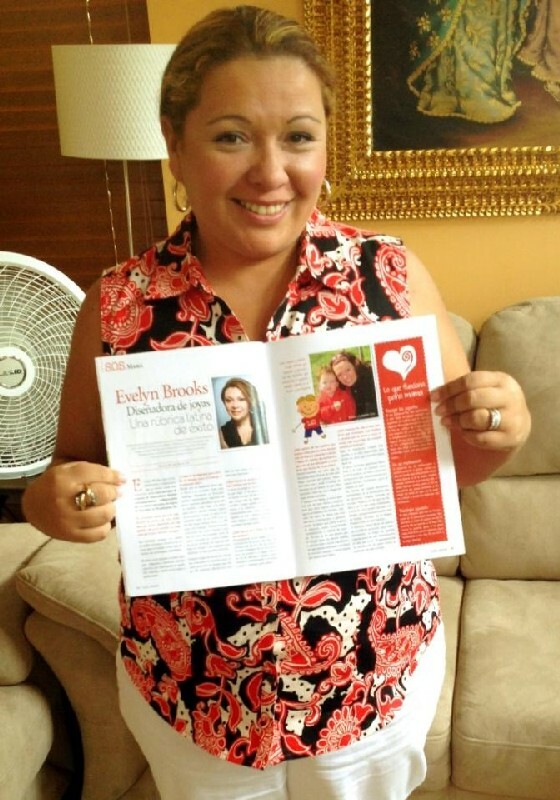 I’m featured in two pages in the magazine! This presence is a breakdown of an interview that I had with Maxim Morales from S.O.S mama. During the interview, she asked me questions about my jewelry company, how I divide my time between work, my husband and my 3-year-old son Tyler. How do you divide your time between work and your family? I spend time with my son in the morning before he goes to school; we eat breakfast together, we talk, we play and we also fight just to ensure that he gets ready on time to go to school. I drop him off at 9am and pick him up at 1pm. Therefore, I have time to work in between. Once we’re back from school, Tyler takes his usual 2 hour nap so I can go back to work for another two hours. I try to divide my time and organize myself so that I can spend the most time I can with Tyler. When Tyler is not there I really take advantage of that time to work very hard. I try to be the most productive I can. Iconcentrate on my work and getting things done. This is key for everything to work out. I also have my assistant that helps me to get things done. What do you think about moms who feel guilty for not spending time with their kids because of their jobs? Also, who find that it’s getting harder to discipline them, so they see gifts and shopping as a way of rewarding their children. I definitely do not believe that discipline has to be left aside because you come home tired. Our kids are and will be the reflection of us in the future. Everything they learn comes from home and later on from the place they go to school. Even though sometimes it hurts, we have to be strong and be strict with them because they have to understand respect and limits. Kids now a days are more adaptable and smart. Generally, the only thing they are screaming for is attention, love, communication and quality time. I think that time passes so fast. Kids grow up too quick. All I suggest is to enjoy your kids to the fullest, even though sometimes you have to be strict. What advice would you give women who work, that are moms and who feel that sometimes this journey seems impossible. Get organized, get an agenda, prioritize and learn to say NO! Sometimes we want to do everything and anything. For example, that new project that seems promising because it will bring me many benefits, but in exchange of what? Don’t precipitate, don’t make hasty decisions, don’t get mesmerized by the project; read it and take time to decide. Think about what you have and what you’re working on. If you’re not going to be able to execute the new project or the project will compromise a lot of your family time, don’t do it. You need to weigh your options. Sometimes its better to say “it seems like an excellent project, but unfortunately my agenda is full for the rest of the year, but we can talk about it next year.” You will feel satisfied because you are doing the right thing.